Frances was born January 17, 1905, in New York City. 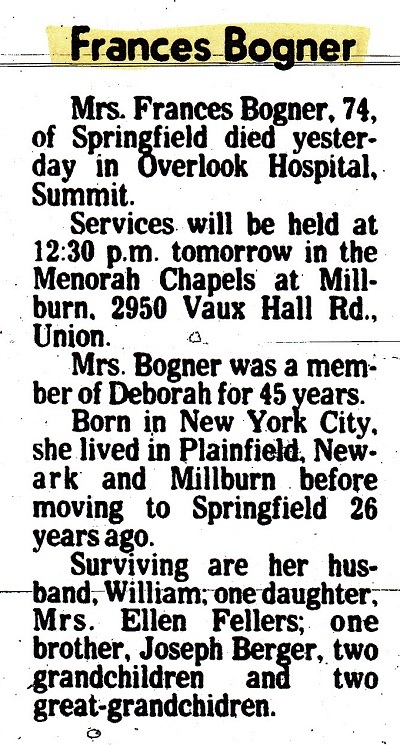 She was the wife of William F. Bogner (1900-1994). 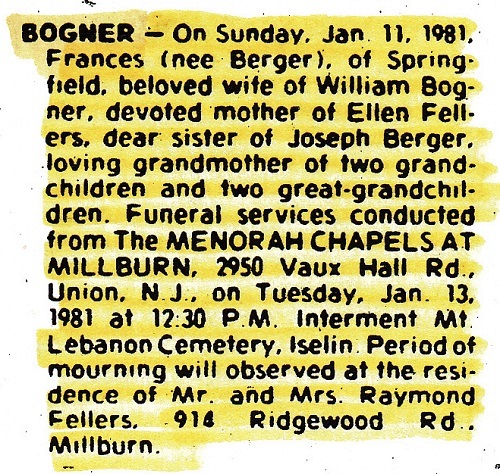 Frances and William were the parents of Ellen Bogner Fellers (1929-2008).